Node University and its creator Azat Mardan tells you about advantages of using Node.js and why its such an absolutely, positively, amazingly awesome technology. 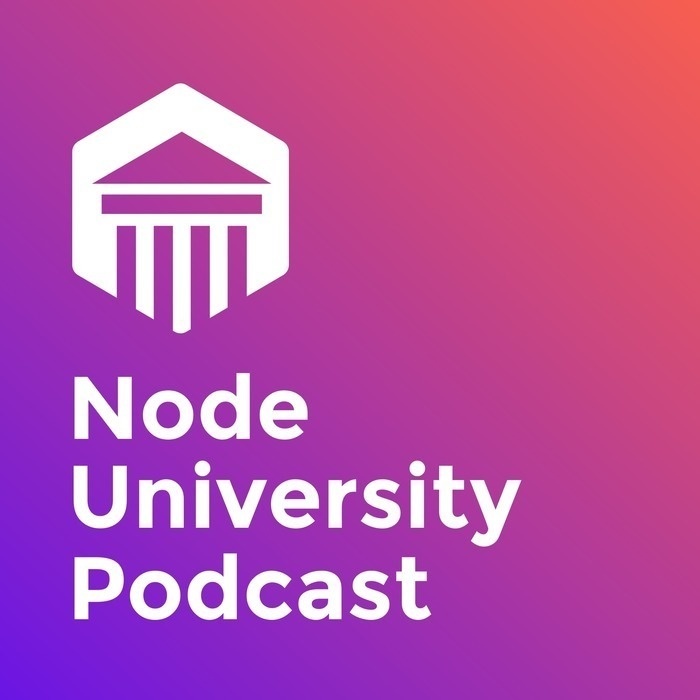 Watch on YouTube, Node University, or listen on Google Play, Stitcher or iTunes: https://node.university. I will keep open Node University open only for the next several weeks. I'll be closing ALL NEW SIGNUPS in January 2019 forever. I have enough paid students. I provide one-on-one Slack support to members. I guarantee quality and access. There would be no new students enrollments in a few weeks. Act now and sign up to get knowledge. Learn about the main Node.js use cases. Learn about important differences between categories of software, technology and IT professionals. Learn my recommendations and the differences between the best Node editors: Atom, VS Code and Webstorm. Learn about events (observer pattern) in Node and why NO new styles can compare, i.e., promises or generators or async function would never do what events can do for Node coding. Are programmers born or self-made? Learn the truth and why you might want to think one versus the other depending on your situation and career to help yourself and be more successful. Learn about dependency management with three npm and Node.js files and why one of them is better: shrinkwrap.json vs. package-lock.json vs. package.json in Node and npm. Learn about three ways to create functions in Node.js and their differences: named, anonymous and fat arrow functions. "this" is a common interview question and a very common source of bugs. Learn the purpose of "this" and understand how to avoid common mistakes. Learn about the differences between ES6 (ES2015) module import statement, Node's require(), Node's ESM support and the new dynamic import() method. Learn about different web protocols for services REST vs SOAP vs RPC vs GraphQL vs CQRS. Learn about the differences between four main categories of cloud computing: Infrastructure as a Service (IaaS) vs Platform as a Service (PaaS) vs Backend as a Service (BaaS) vs Functions as a Service (FaaS). Learn about benefits of using container technologies and why they are better idea than just having virtual machines or no virtualization at all. Learn what are microservices in the most simple and easy way. Understands the benefits of microservices and the drawbacks and some negative aspects of using microservices. Learn why serverless and Functions as a Service (FaaS) is so popular, what benefits it has over traditional cloud platforms and what are some serverless services which will allow you to get started with developing your own serverless architecture for free. Learn what you need to do to implement a GraphQL API in Node. Learn about benefits of GraphQL over RESTful API and why GraphQL will kill REST API just like REST killed SOAP 10 years ago. Learn how to avoid error "Not allowed by Access-Control-Allow-Origin", enable CORS and what is JSONP. Learn about differences between five OAuth 2 grant types and when to use what: grant_type=authorization_code vs. grant_type=password vs. grant_type=client_credentials vs. grant_type=refresh_token vs. response_type=token. Learn what is OAuth and what is the difference between 2-legged and 3-legged OAuth. Learn about differences between PUT vs POST vs PATCH and why most of developers implement PUT wrong and how to make it right according to the standard. Learn how to implement CRUD in REST API, how HTTP request is structured and why you need an ID in the URL. Contrasting four top Node.js frameworks Koa, Hapi, Loopback and Express to give you their main benefits and disadvantages. Learn why Node developers almost never use core http module for web apps but rely on frameworks such as Express instead. Learn about networking in Node with net, http, https and http2. Learn about more efficient workflow with the main Node.js code reloaders and their differences. Learn how to debug Node.js code. Learn how npm determines the project root and thus where to install Node.js modules. Learn the main npm commands and its options. Learn about the main core Node.js modules such as fs, path, http, http2, crypto and cluster. Learn three ways to execute Node.js code while, I bet, most Node developers are not even aware of the two of these methods. Understand what is LTS and what Node version to use such as 4, 6, 8, 10 or maybe 7, 9. as well as learn Node code names. Non-blocking I/O, which is one of the best things of Node, is finally explained in a simple and short form to demystify why non-blocking I/O is good and how it works. Node University Short Lectures and its creator Azat Mardan tells you about advantages of using Node.js and why its such an absolutely, positively, amazingly awesome technology.